What Were The Best Openings Of 2016? From cereal killer cocktails made with Fruit Loops milk, vodka and Aperol to homemade cocoa pops and sticky date pudding espresso martinis, it seems 2016 was a year for cereal and dessert cocktails in Australia and New Zealand! But we also had loads of goodies from the French, Asian, Italian, Lebanese and American persuasions, as well as some top notch beer. While it was pretty hard to narrow it down, here are the best openings of 2016…according to us! 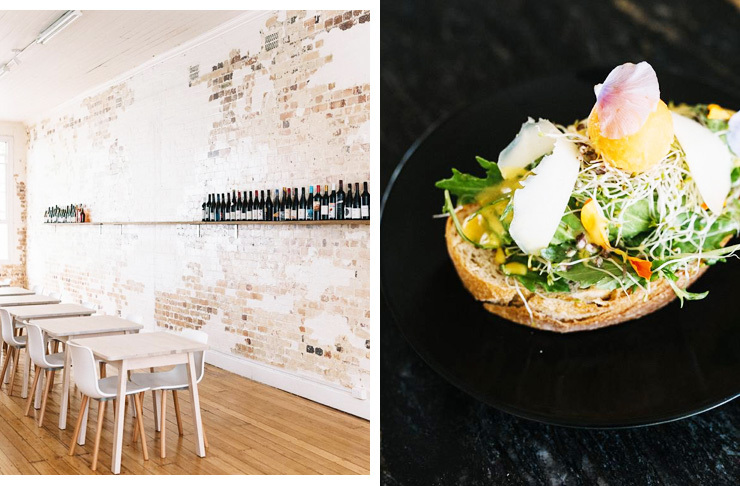 CBD wine bar and French restaurant, Greenglass is changing the way Brisbane eats. A cross between the elegant wine bars of old and an NYC loft apartment, Greenglass is a hidden gem serving up a small but oh-so elegant menu, paired with some of the best Aussie small batch wines in the country—a decided change for the Brisbane dining scene. 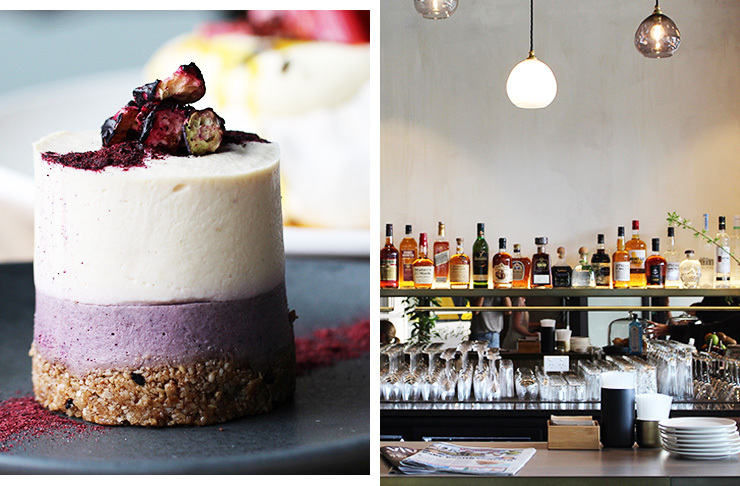 The APO in Fortitude Valley is the ultimate late-night hang that's just a little bit fancy. Combining head chef Ben Williamson's creativity (of Gerard's Bistro fame) with an impressive Lebanese-French twist, this is no ordinary dining spot. The dishes are meant for sharing, and their sinfully good cocktail list is meant for drinking. Expect stunning and delicious French cuisine sans the exorbitant price tag at Allium. Coming at you from the former head chef of Prive249, Allium is not your standard rustic French fare. Think marbled wagyu, crispy pork cheek, slow-cooked pork neck, and miso eggplant puree. Yum! 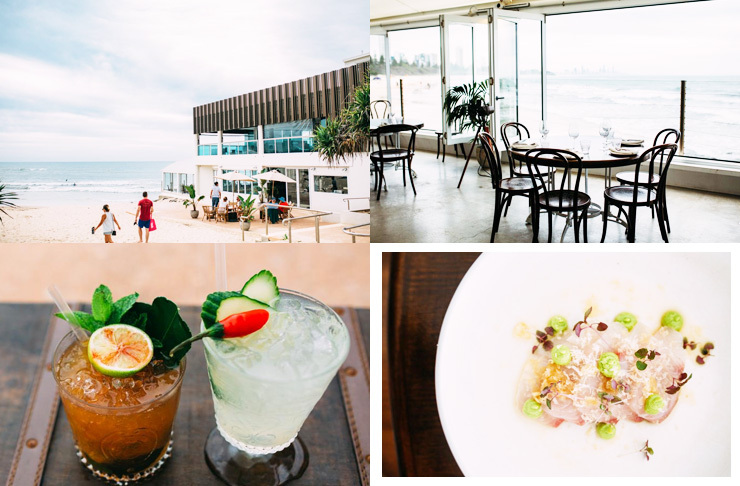 With a carefully-curated Asian fusion menu of next-level taste-bud busters from Vietnam, Thailand and further afield, this Burleigh Beach favourite not only offers lust-worthy views across the table but also some of the most delish dishes we’ve ever tucked our knife and fork into. Quality over quantity is the name of the game at Rick Shores, but you will not leave disappointed after the likes of soft shell crab on betel leaf, Rick’s fried (Moreton Bay) bug roll, egg net salad with pork belly and cuttlefish, and king prawn yellow curry. It’s not every day four pro surfers get together and live every man’s dream: opening their own brewery. Local Gold Coast lads, four-time world champ Mick Fanning, one-time world champ Joel Parkinson, plus pro tour surfers Bede Durbridge and Josh Kerr launched their first beer, Balter XPA, in March. Balter Brewing’s cellar door is open to the public Thursday to Sunday evenings and if you time your visit right you might just find a pro surfer behind the bar pouring you direct-from-the-source beer. Palm Beach has been a hot spot for new openings in 2016 and Balboa Italian was just the icing on the cake. This restaurant is from the same crew behind quaint Avvia, a dozen blocks to the north. 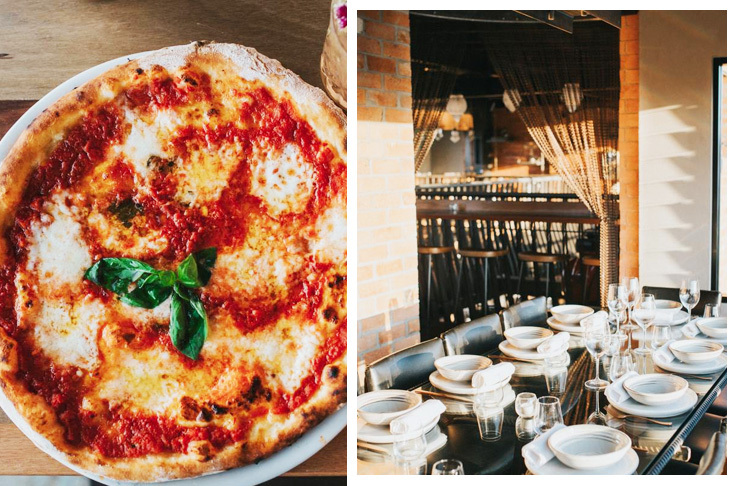 There’s an authentic Napoli-imported wood-fired pizza oven (you can smell the pizzas a block away), and the farm-fresh heirloom tomato and buffalo mozzarella salad and risotto are both amazeballs! And ‘cause Italian eats and wine are simply made for each other, they’ve paired the menu with over 45 bottled options beckoning from inside a glass wine humidifier, including a lovely chianti from Sienna at just $9 a glass. Masterminded by Clinton McIver, ex-Vue de Monde sous chef and one of Melbourne's brightest up-coming culinary stars, Amaru in Armadale is an incredible fine dining experience to be found in Melbourne's southside. With no attention to detail spared, the relaxed, resolved space is home to 33 seats at which diners can enjoy a mouth-watering 13-course degustation or an abbreviated lunch menu, both of which promise to include some of the city's finest delicacies. The Crux & Co team have opened their doors with all day brekky and lunch, so that you don’t need to shorten your weekend sleep-in to get the squid ink garlic toast or wait until 12pm to order a pork belly burger! 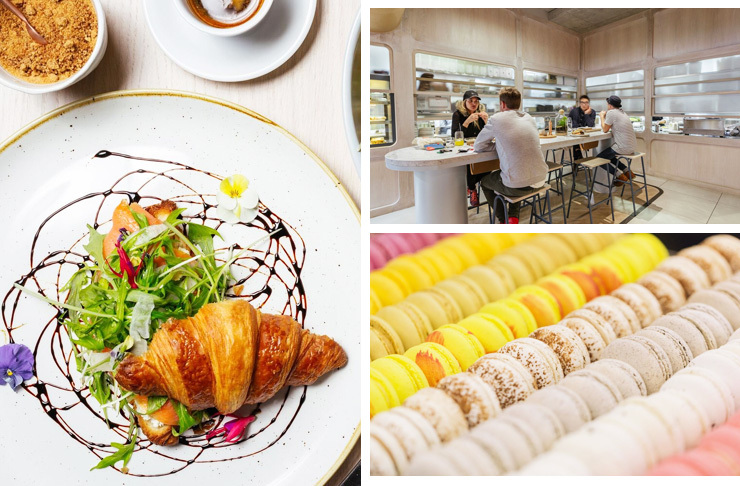 It's run by the same team who brought us Lights In The Attic, so you can expect top-notch food and drinks, plus some of the prettiest pastries ever—from classic pastel toned macarons, to salted caramel eclairs, and even matcha croissants! 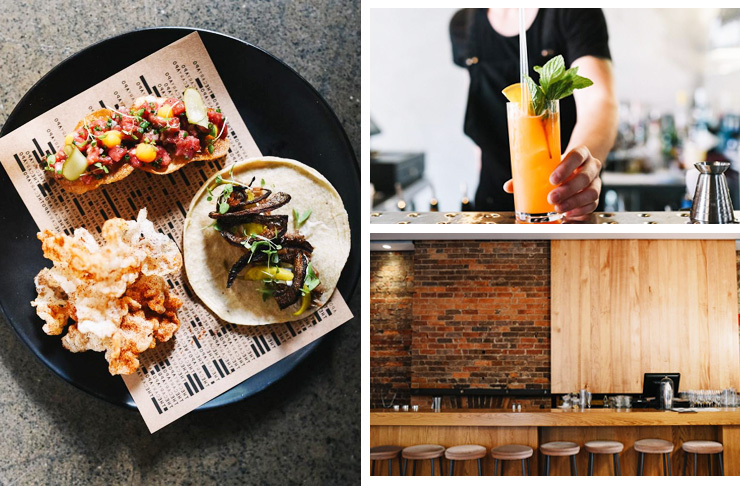 If you love tacos as much as we do, Bodega Undergound is going to be your ultimate go-to venue *and* these tacos will go perfectly with their huge Mezcal range. And the absolute best bit? They have a late night taqueria open until 3am every night of the week! Congrats, night owls. Bodega Underground is brought to you by the folks who got their hospo’ experience at Hawker Hall and Royal Saxon, so we can guarantee they know what they’re doing. With the former head chef of Melbourne’s Gingerboy and the former bar manager from Mechanic’s Institute joining forces, you know you’re in for a pretty sweet ride at Sweetwater Rooftop Bar. The dynamic duo is whipping up some amazing cocktails and Asian inspired noms so you can enjoy the view from the sixth story venue. Do not miss the sweet potato balls or the squid ink bao. You should also get the mysterious desserts. What the heck, just get one of everything! When the head chef from Print Hall and the bar manager from Rockpool join forces to open a cafe, it’s not surprising that it lands itself in our list of the best openings of the year! Mason & Bird's all day menu is choc-full of brunch goodies like avo with charred corn salsa, savoury waffles and their own homemade cocoa pops to keep your inner child happy. There are also plenty of toasties and burgers but it's the mains like the braised lamb pappardelle and pan fried gnocchi that will get you excited. After their super successful pop-up in Trinity Arcade, The Hummus Club answered all of our prayers by opening a permanent restaurant in the heart of Northbridge. With dishes like za’atar fried chicken, delish falafels, creamy hummus and Middle Eastern spiced beef, it's no wonder Perth has fallen in love with their authentic Lebanese cuisine. Finish it off with homemade chocolate and orange doughnuts or a halva brownie and you'll be in foodie heaven. 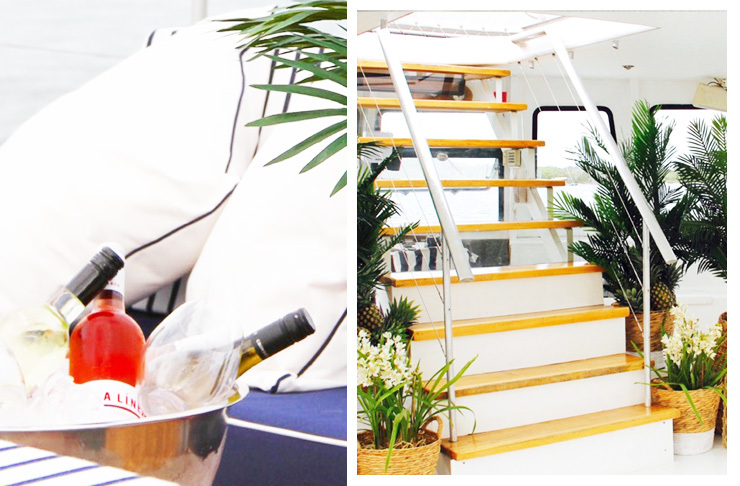 Riiiiight at the beginning of 2016, we were completely wowed by the refurbishment of an old boat named MV Catalina. Setting sail for the first time under its new guise on New Year’s Day, this sleek, white-washed, nautical-themed boat totally took our breath away. Since then, it’s coasted along Noosa River most weekends hosting a bunch of private and public events. The pick of the bunch and almost always sold-out (so get your tix fast!) is Saltwater Sundays, a sunset cruise with DJs and cocktails at the ready. Sure, it’s not technically a bar or a restaurant, but it totally deserves a possie in our best openings of 2016. 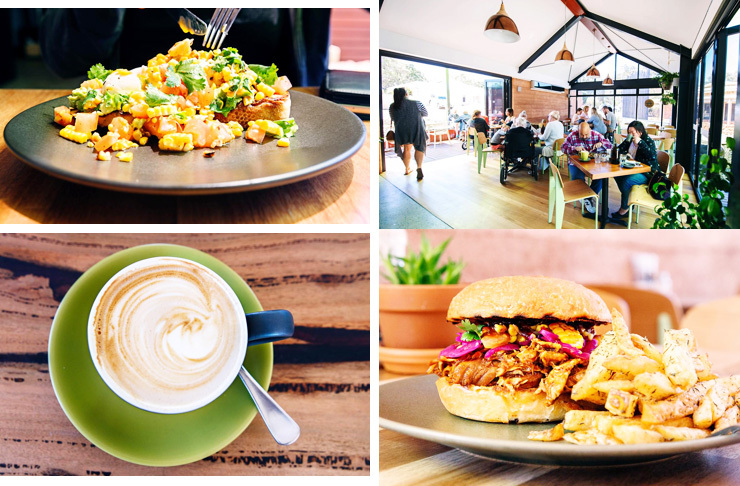 Melt-in-your-mouth lamb shoulder, super slow-cooked brisket, and the best mac ‘n’ cheese we’ve tasted in years, Dirty Moes has done a mighty fine job of bringing the flavours of the Deep South to the Sunshine Coast. 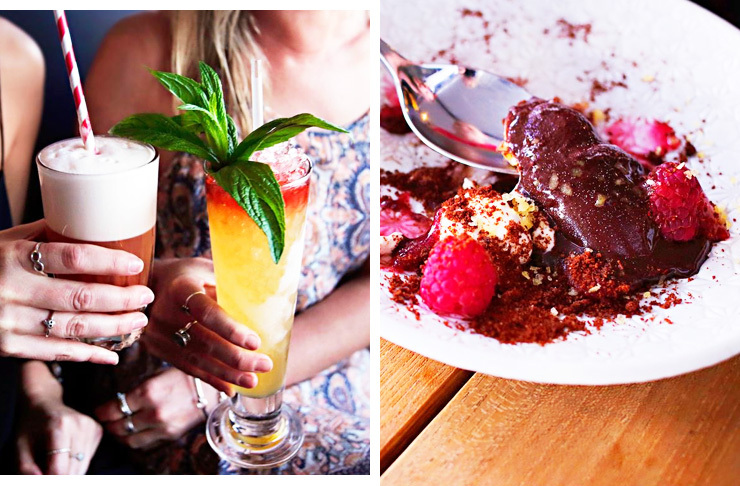 This city-vibing joint gets our vote for the best spot to kick off a boozy night in Mooloolaba—we’re still going loco for their sticky date espresso martini. Ermergherrd! Hands down one of the most talked about openings this year on the Sunny Coast, Brouhaha Brewery had a whole village behind them before they’d even poured their first beer. Gotta love the community feels! Tucked at the back of Maleny, off the main drag, this brewery slash restaurant brings together housemade craft beer and posh pub grub to create the ultimate casual dining experience. Haven’t made the trek yet? Grab your mates, nominate a designated driver, and get up to this mountain town, stat! From the boys of the Swillhouse Group (Shady Pines, The Baxter Inn, Frankie's Pizza), Restaurant Hubert is bringing a bit of the old school back with its French-inspired restaurant. Think dishes like chicken fricassee, steak with pepper sauce and creme caramels all with a modern twist conjured up by head chef Dan Pepperell (ex 10 William Street). The space itself is luxurious with a true European vibe, making you feel as though you've been transported to Paris (but without the jetlag and post-plane skin). On the drinks side of things expect to find classic cocktails such as Manhattans, martinis and margaritas as well as a French-influenced wine list. From the guys who brought you Sydney bar Lobo Plantation, Kittyhawk’s food menu is the delicious creation of Jason Wright, the man behind STEAK Restaurant and P1 Edinburgh, and gives Sydneysiders the chance to dine on Parisian street food with a twist. We’re talking tasty bites like mussels vol au vent, Scotch eggs with smoked aioli and steak Swiss with everyone’s favourite hero of the moment, truffle mayo. With a bar that boasts over 900 spirits, you may be here a while, and where rum and rye whisky are the definite heroes, this place is perfect for your next date night, bar crawl or both. British Michelin-starred chef Jason Atherton is bringing a whole lotta culinary pizzazz to The Old Clare Hotel with his Kensington Street Social restaurant. The biggest venue in Old Clare, 120 can sit for breakfast, lunch and dinner (with brunch on Sundays!). You can expect stellar dishes from their relaxed all-day menu, like English breakfast tea and toast. Not the usual tea and toast your nanna has in front of the telly, this feed consists of a wild mushroom tea served in a teapot with relish and bone marrow toast. We also recommend you have a taste of their equally ambitious fruit looped cereal killer cocktail, starring vodka, Fruit Loop milk, apricot and Aperol, SERVED IN A MILK CARTON. Ever wanted to enjoy a home brew overlooking Auckland harbour while eating four kinds of ribs and bowling at the same time? Until recently you couldn't, but now Dr Rudi's Rooftop Brewing Co. is here to fulfil that dream. Located on the corner of Quay and Hobson Streets on Auckland Viaduct, Dr Rudi's is complete with a coffee spot, brewing vats, waterfront seating, an array of sharable platters and pizzas and two bowling lanes! East and West come together in a fusion of delight at White + Wong's. 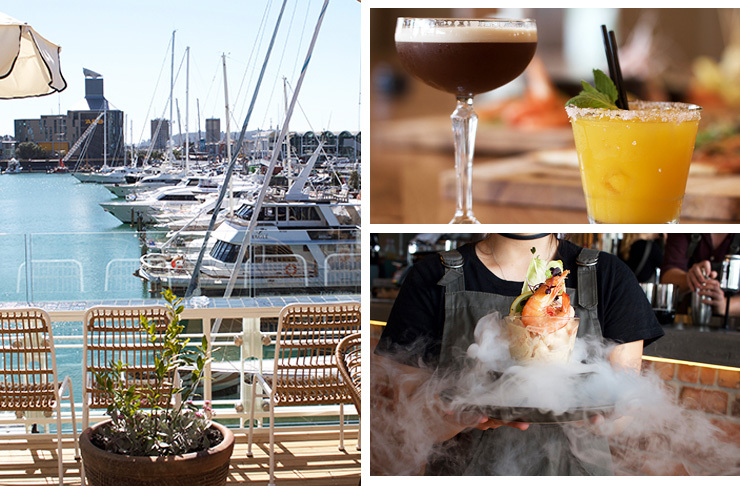 Brought to you by the same people behind Harbourside and Botswana Butchery, this newly opened restaurant is right on Quay St, overlooking the harbour. Bright, light and colourful, there are plenty of menu options—we love their dumplings, wok fried chicken wings and for dessert the caramel, milk chocolate and peanut parfait. There's also a 'feed me' menu or two banquets to choose from—the lotus and the grand. And, if you're looking for a private dining space to celebrate, White + Wong's have six spaces to choose from. This is one spot you'll be returning to again and again. Yet another rad eatery has popped up in the Wynyard Quarter dining district and it goes by the name of Kindred. This eatery is open for breakfast, lunch and dinner, delivering wholesome, hearty meals with a splash of sophistication. We're talking blueberry pancakes with bacon butter, chorizo scramble, tuna poke, Vietnamese bone broth and an epic burger. Its casual vibe and fit out makes it the perfect spot to dine by the water. Now that you know all the best restaurants, bars and cafes, why not check out Australias 12 Best Beaches, Ranked.